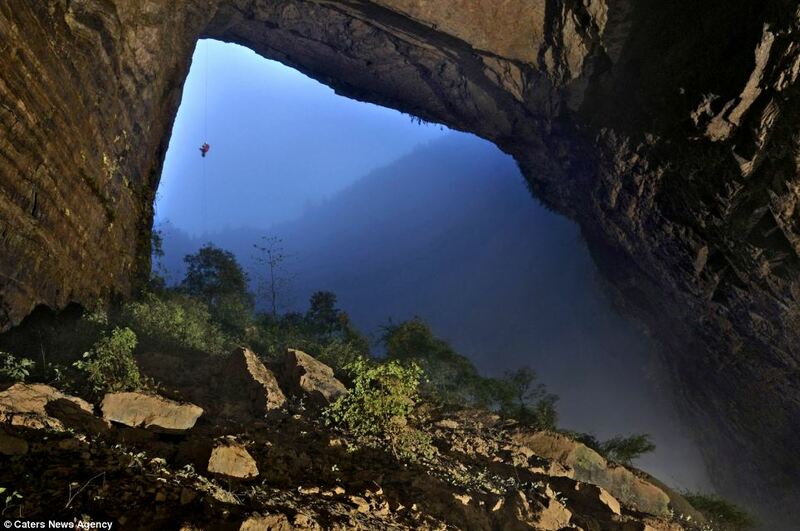 They were amazed to discover the entrance to the hidden Er Wang Dong cave system and were stunned when they managed to climb inside to see a space so large that it can contain a cloud. 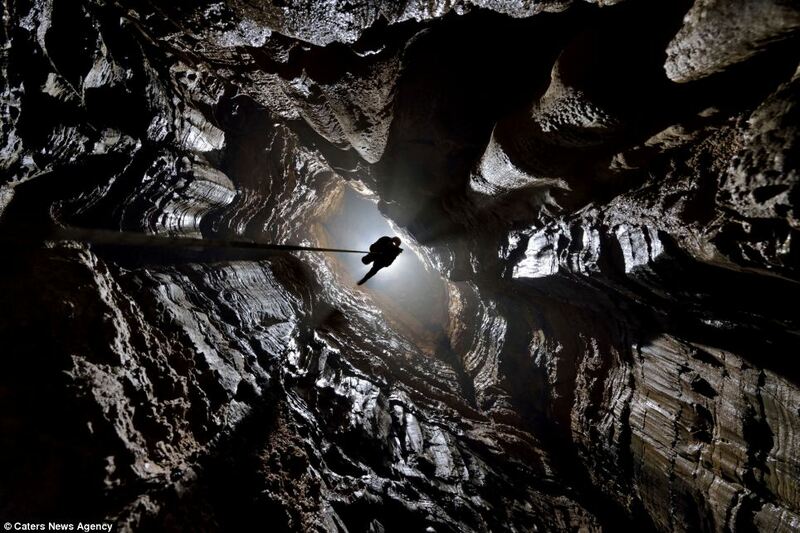 Photographer and caver Robbie Shone, from Manchester, was part of a team of 15 explorers on a month-long expedition that discovered the hidden system. 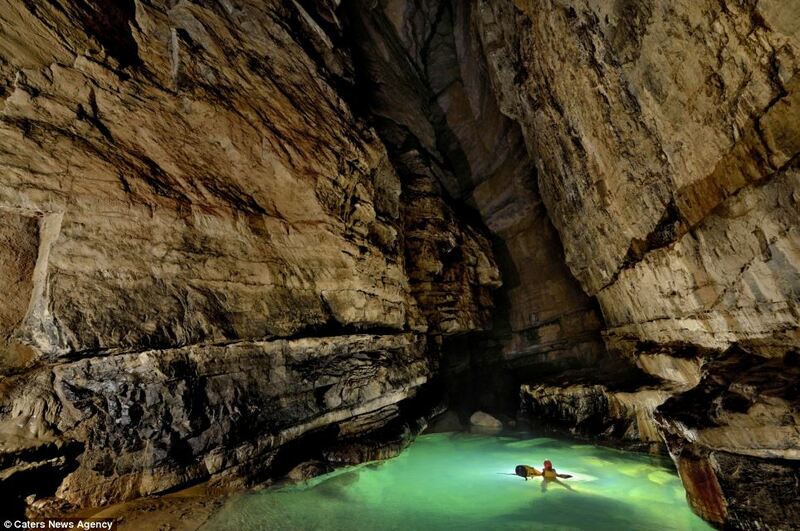 'A few of the caves had previously been used by nitrate miners, at the areas close to the entrance, but had never been properly explored before,' he said. 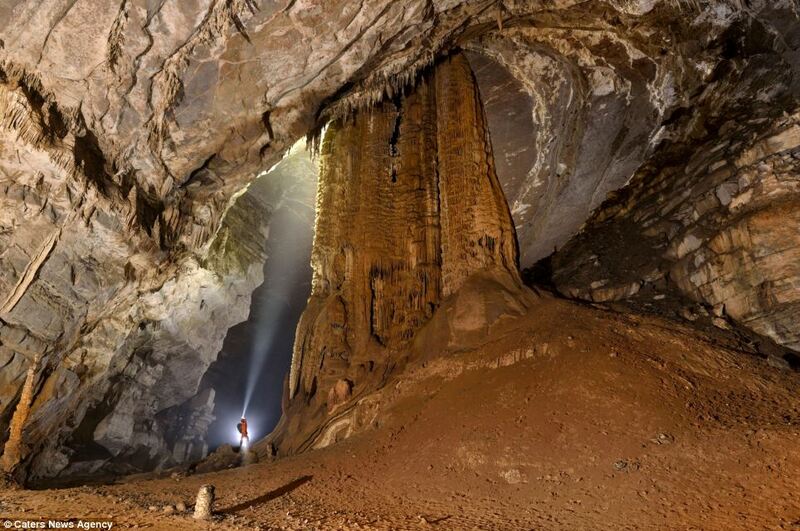 'All the major passageways were deep underground and had never seen light before. 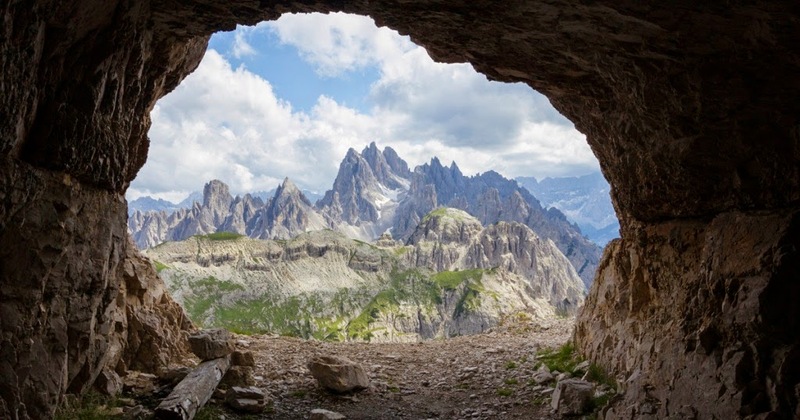 'It is always very special, knowing that you are the first to step foot into a cave or somewhere where nobody had previously seen, not knowing what you might find and discover. 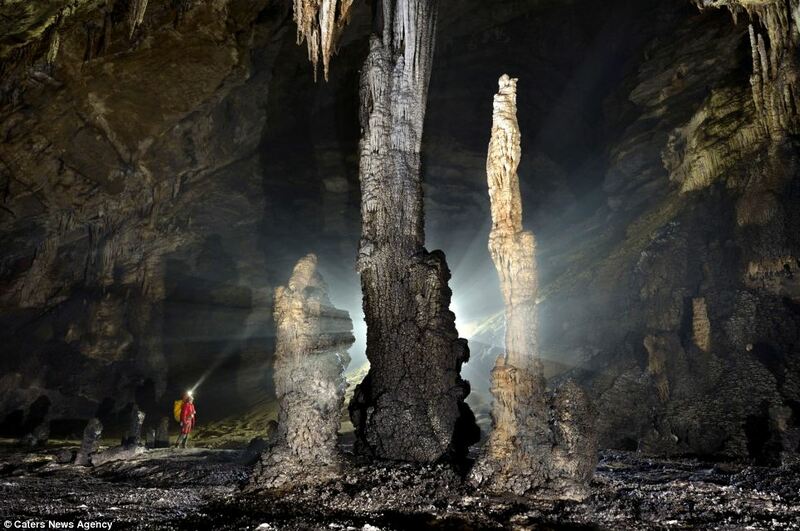 'Where else on Earth can still hold secrets and mysteries of discovery? 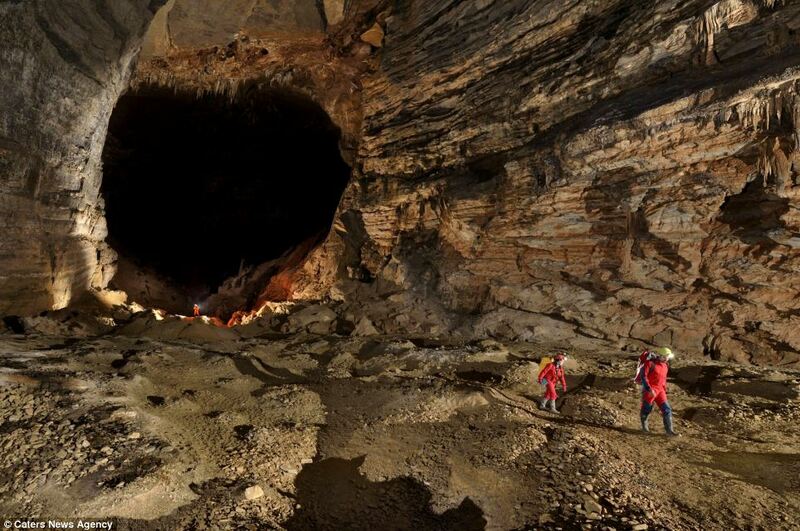 That's what I love so much about exploring. 'I had never seen anything quite like the inside cloud ladder before,' he said. 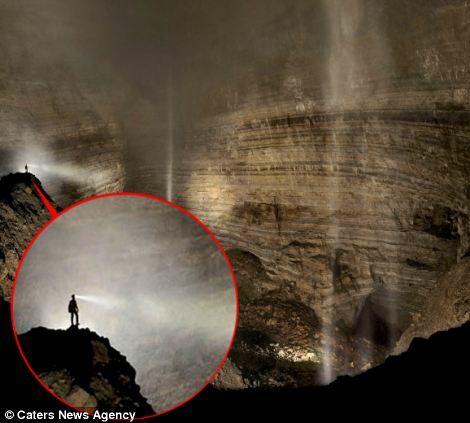 'Thick cloud and fogs hangs in the upper half of the cave, where it gets trapped and unable to escape through the small passage in the roof, 250m above the ground. 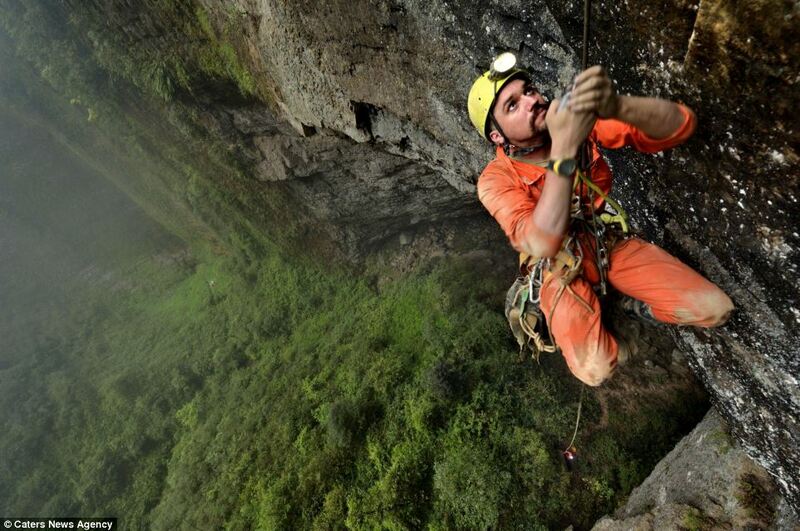 'It reminded me of being in an abandoned slate quarrying North Wales in bad weather. 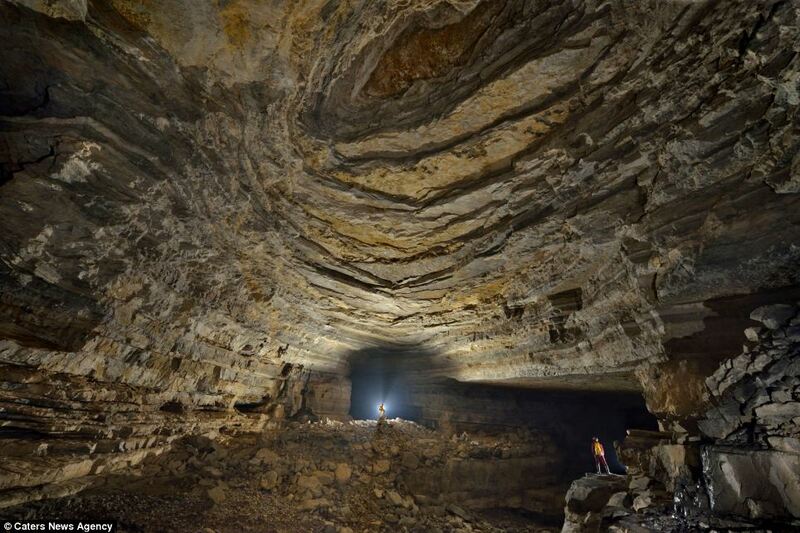 The cave system discovered is not the only one with clouds inside, as humidity rises inside the caverns into colder air to form clouds inside the giant, enclosed spaces. 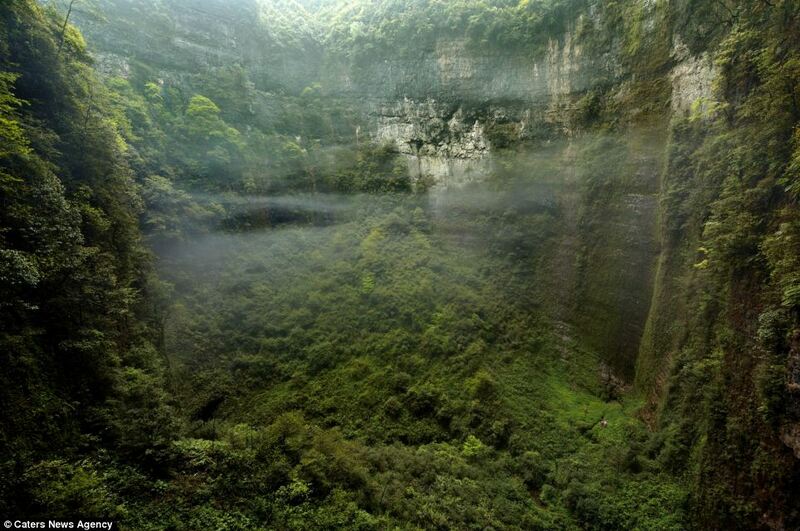 The network, includes 'Cloud Ladder Hall' which itself measures around 51,000 metres squared, while there are rivers and vegetation on the floor of some of its huge caverns. 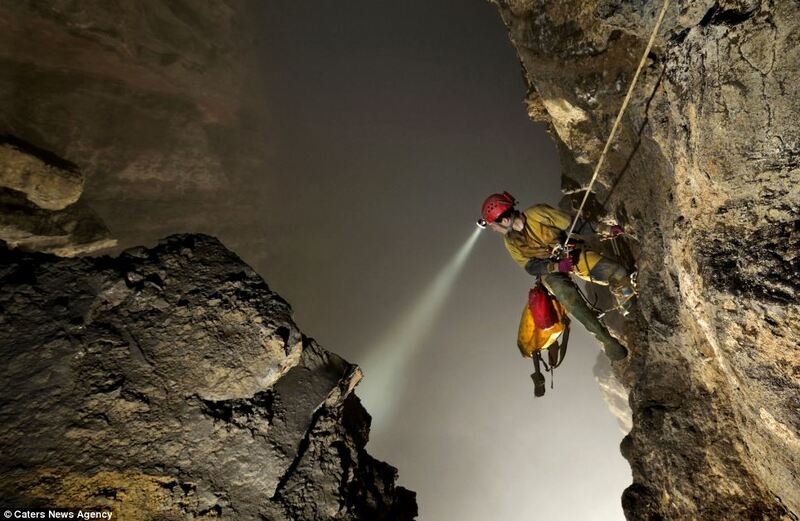 'Most caves are either accessed by large walking entrance, some require a long deep swim, other may be very vertical in nature where you need ropes to abseil down the walls deep into the caves. 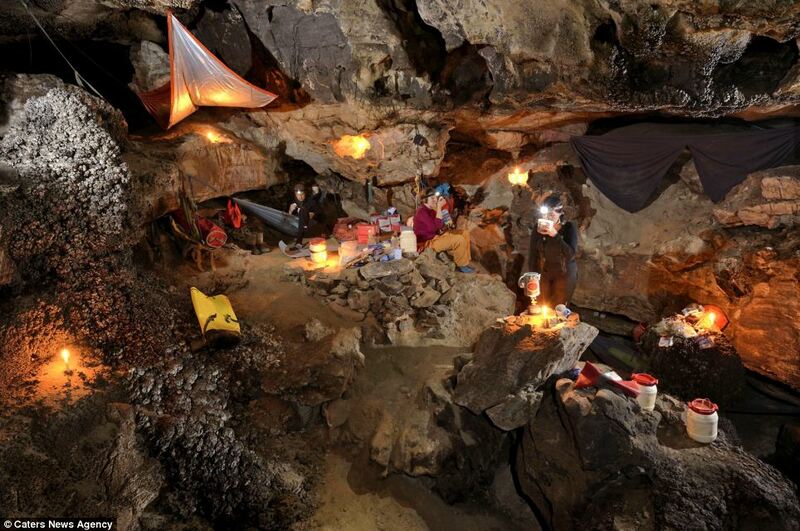 'We had to be aware of high water levels inside the caves, especially when it rained heavily on the surface. 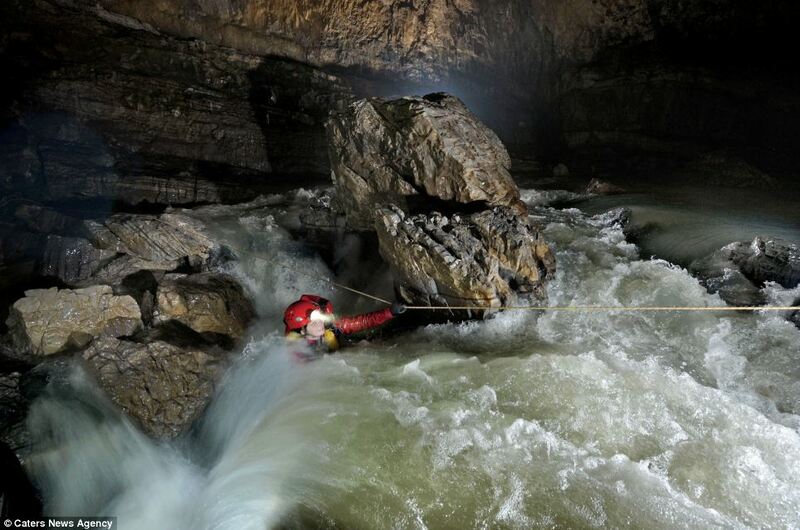 'The drainage catchment to these caves is massive and soon the caves can be extremely dangerous and impassable,' he added.